So I had promised low-key party this year. However, my daughter made a plea that I could not resist. 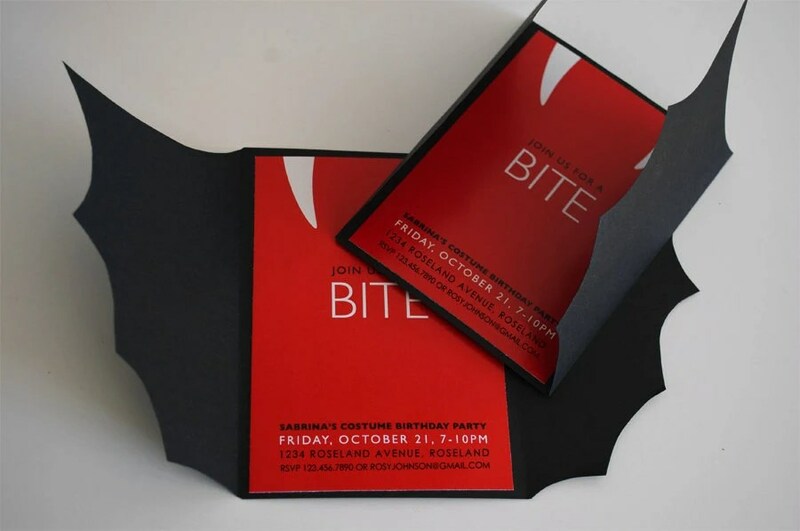 As always we started with the best invitations by Nickel Design. My little one made my heart swell this year by asking to be a villain. I was so proud, so I set off to find the perfect version. I found a few ideas on Pinterest. I said I can do this with no pattern and off we went to the fabric store we went, for the first time. Now how much tulle could this take, I mean really. Thirty-two yards! Thirty-two yards! So three trips to the store later and more glitter in the house than I care to mention. 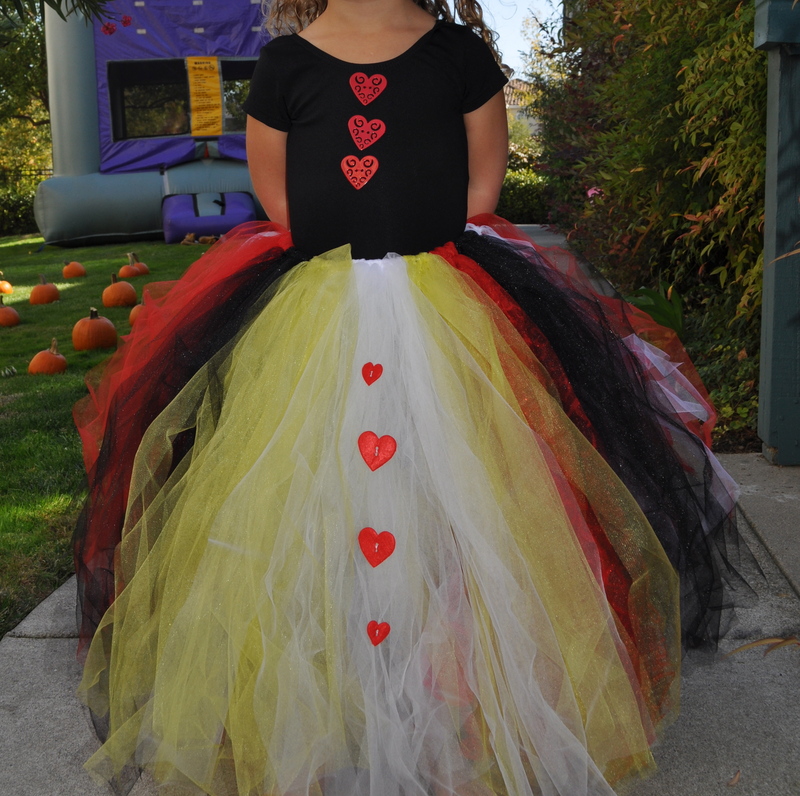 We had the perfect Queen of Hearts costume. She loved the costume so much. I was equally proud of it. The absolute best part was half way through the party when she promptly told me she was done wearing the skirt and proceeded to take it off and walk off. Yeah! 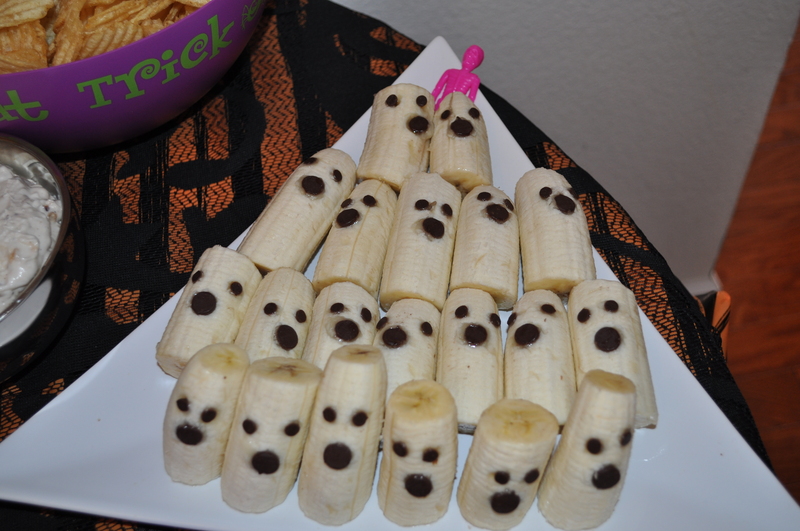 I needed fun but not scary food ideas for this year. Here are a few I went with. Amazing food cards by Nickel Design. 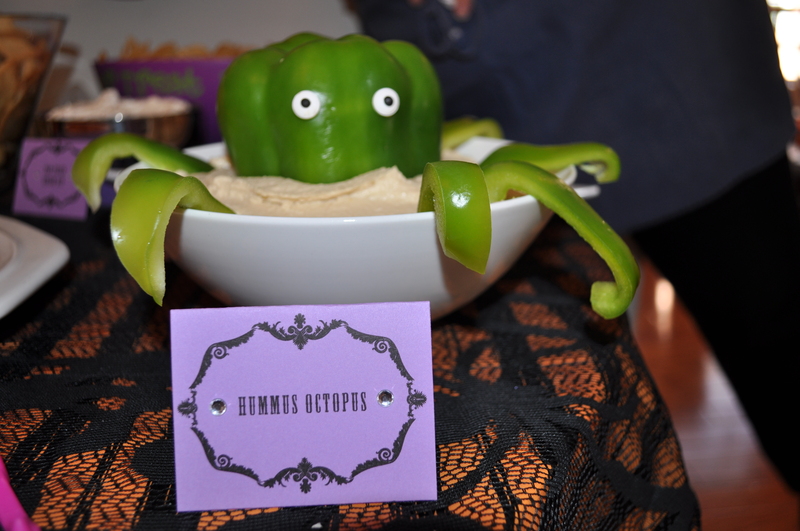 The Hummus Octopus was very scary. 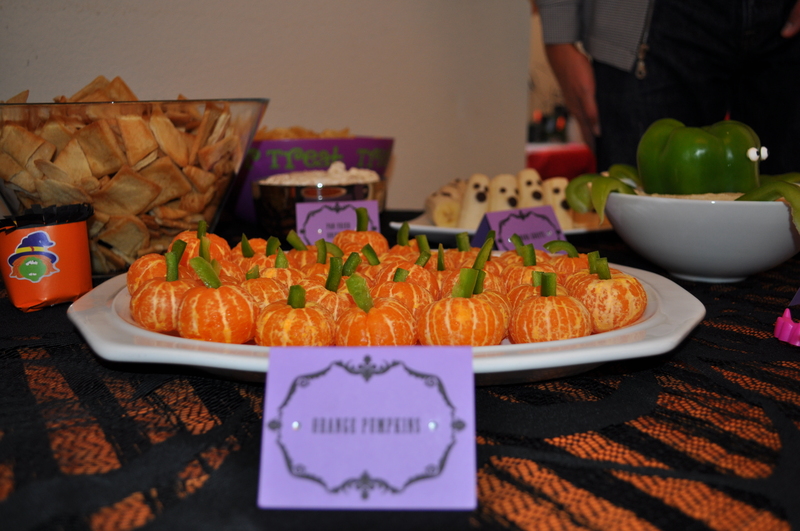 Orange Pumpkins – a note on these. The peeling takes some time for all these little clementines and the meticulously cut bell peppers for stems. I was lucky enough this year to have a team of devoted Grandma’s helping. 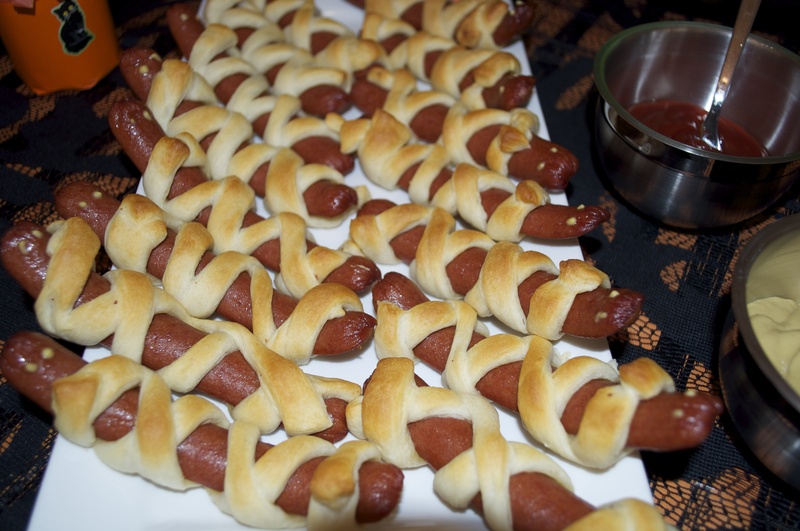 Mummy Pigs in a blanket complete with mustard eyes. Fresh fruit for color KettleCorn fresh from the farmers market. The World’s Best Sugar Cookies. 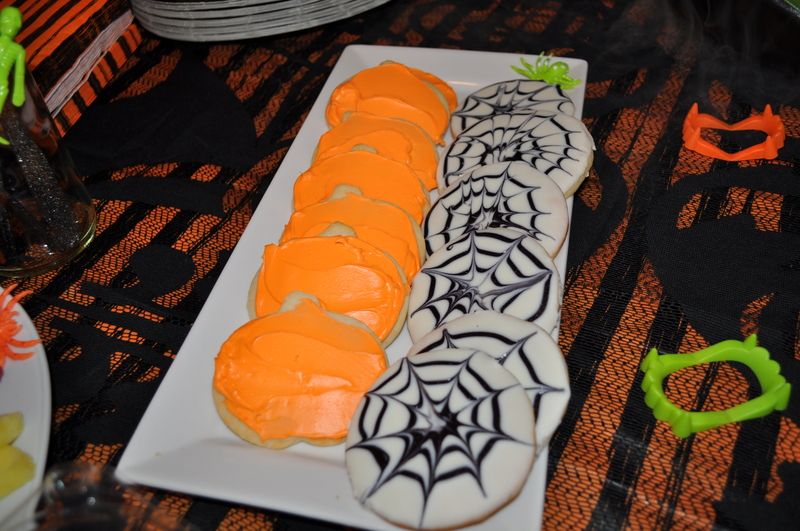 I was very proud of the spider webs. I took white frosting and thinned it in the microwave for a few seconds. I dipped the cookies into the frosting and while they were still wet took black frosting and made a spiral on the cookies. Then take a toothpick and drag it out from the center. 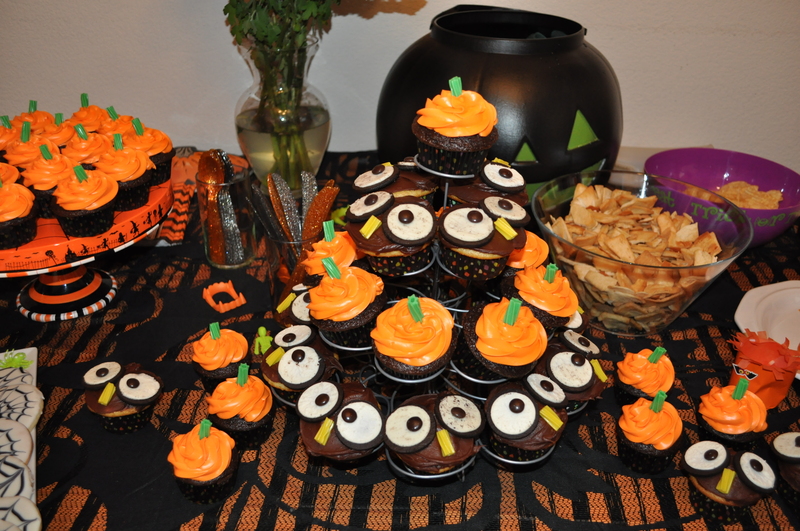 I may have gone a bit over-board with the cupcakes. 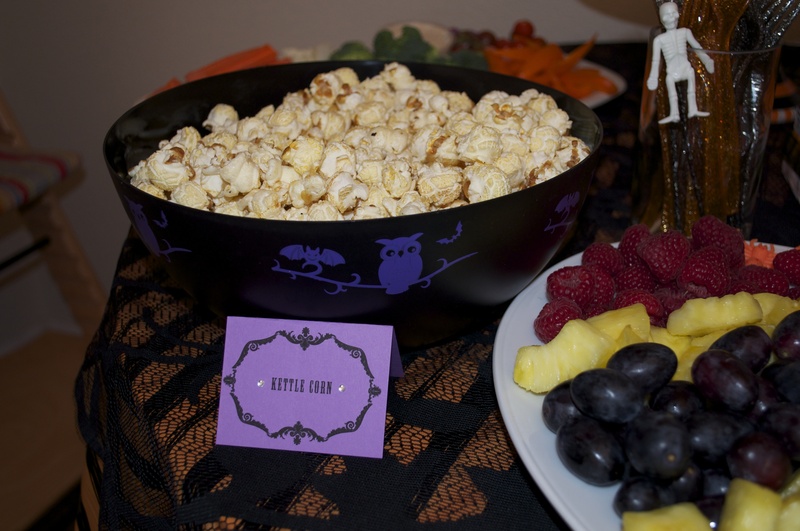 I couldn’t decide if I liked the pumpkins or the owls more so I went with both. 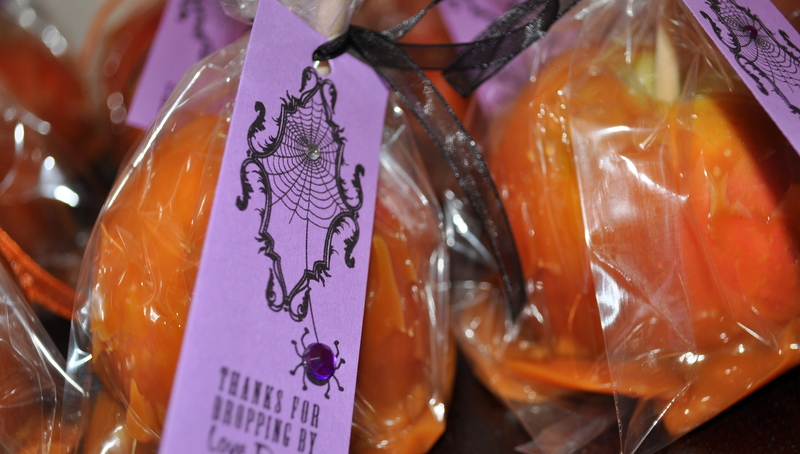 As favors I tried my hand at Carmel Apples. And as the last person left the house this year I fell onto the couch and looked at my husband and said we were not doing this again. Resolve failing. See you again next year. 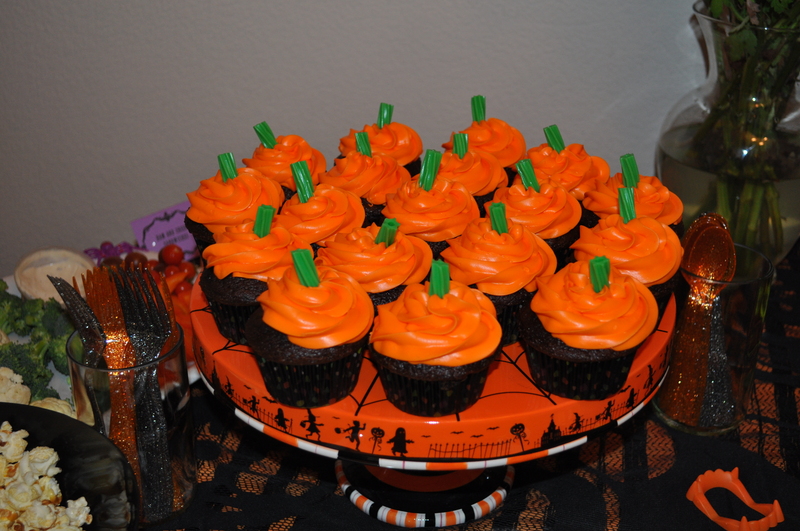 This entry was posted in Party and tagged birthday party, decoration, DIY, food, halloween, kids, party by 24useablehours. Bookmark the permalink. You ARE the bestest mom ever! And you throw the bestest parties. 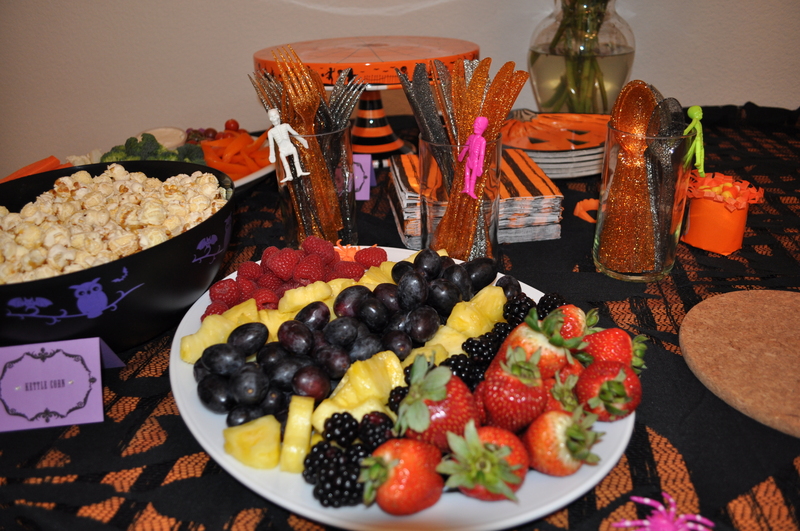 It was an outstanding party! Kudos Amy! Wrapped around her cute little finger….